Twenty-eight million cars, trucks and buses were sold in China last year, making it the world’s biggest automobile market. In 1990, 26 percent of China’s population lived in cities. Today, it has reached more than 55 percent, and the growth pushes its roads to gridlock. Even with license plate lotteries and mandatory road space rationing that restricts when cars can be driven, many of our highways and streets are endless seas of taillights. More traffic jams mean more pollution for China. The glut of stop-and-go cars burns more gas and spews toxic fumes into the air. And more cars on the road mean more road accidents. As urbanization ramped up in the last two decades, so did the car culture – along with road congestion, pollution and safety concerns. China is not alone. Most, if not all, large global cities face similar challenges, and China is taking bold and positive action to address the problems. How can technology help reduce congestion? How can each mile be more efficient and safer? Cars that communicate with each other and their environments move more effortlessly – without frequently braking, accelerating or idling on the roads. Connected cars can help reduce hours spent in gridlock and make commutes more efficient and safer, and it can come to life when there’s collaboration with cities and governments. Dubbed the “Internet of Vehicles” by China’s automotive industry leaders, connected car technology is taking off in a new pilot program. NXP, in partnership with China Academy of Information and Communications Technology (CAICT), a subsidiary of China’s Ministry of Industry and Information Technology (MIIT), aims to reduce accidents, traffic jams and CO2 emissions. The partnership, which will advance the China’s car industry with secure connectivity and infrastructure solutions, focuses on R&D, standards development, quality and testing, and talent exchange. 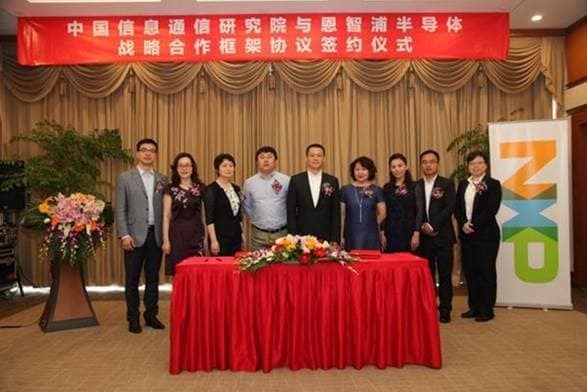 Called the ‘Sino-German Joint Pilot and Demonstration Project of Intelligent Networking Automobile/Automobile Networking Standards and Validation Test,’ this initiative will promote technology innovation and new applications. CAICT named NXP as an “Official Pilot Company” by MIIT. The program is part of its umbrella “Sino-German Intelligent Manufacturing Cooperation Program” that is helping advance China’s “Made in China 2025” strategy for driving innovation and modern manufacturing in China. The announcement was made last week during the NXP Automotive Technology Forum that was held in Shenzhen, China. 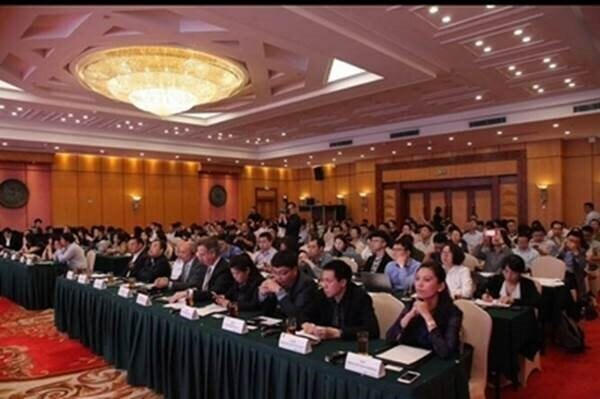 The forum, themed “The Road Ahead for Smart Transportation & Secure Connected Car,” attracted more than 160 attendees, including dozens of customers, media, and VIP guests from the Chinese government and NXP industry partners.